Dunstan Playhouse, Adelaide Festival Centre, Sat 7 Oct. 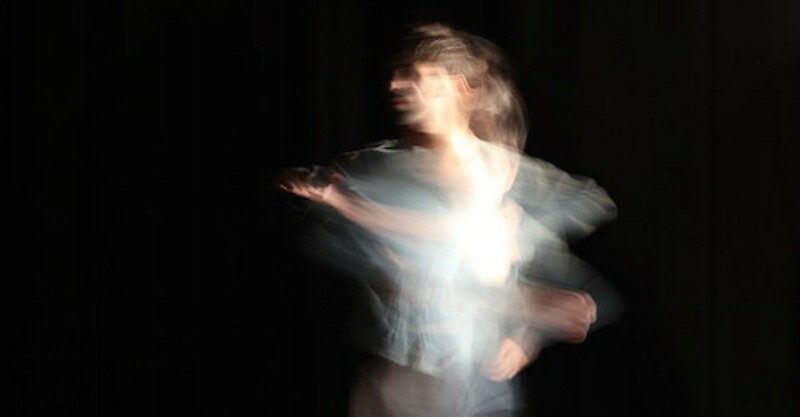 Rising is a seventy minute dance program performed by one man, UK born Indian Aakash Odedra. It might seem a big ask for a single dancer to keep an audience enthralled for this long, but Aakash Odedra manages this brilliantly by showcasing four short starkly contrasting choreographies. The first piece Nritta (Kathak), choreographed by Aakash himself, is in the classical Indian ‘Kathak’ style in which he had originally been trained. A man in white Indian garb keeps perfectly straight, and dances using gentle foot movements and hand gestures. There are two parts, masculine and feminine, and it is intriguing to work out where one ends and the other begins. The music features tabla and cyclic music patterns you might expect in traditional Indian dance. The dancing is beautiful. I am captivated, but I’m already wondering if I’m up for a whole night of traditional dancing. My fears are immediately redundant, as the next piece, In The Shadow Of Man, choreographed by Akram Khan, is a frenetic and sensuous exploration of the ‘man as animal’ idea. A physically demanding piece, there are a few ape-like movements, but generally the animal in this piece is something altogether more dangerous. The music by Jocelyn Pook is edgy and compliments the dancing perfectly. The third piece, Cut, choreographed by Russell Maliphant, is intricate and again physically demanding. For much of the time Aakash is lit from above so that only his hands and arms are visible. The music by Andy Cowton is striking, and the dervish-type whirling is breathtaking. By now I am in total awe of the sheer physicality Aakash is able to maintain. The final piece, Constellation, choreographed by Sidi Larbi Cherkaoui, commences. with fifteen unlit globes hanging from wires which come alight as Aakash wanders around the stage and touches them in turn. This much gentler piece is beautiful to watch, ending with Aakash sitting in temple-like serenity. The music by Olga Wojciechowska is suitably atmospheric. By some coincidence Adelaide’s own Lewis Major has been heavily involved in the development of this program and is listed as a rehearsal director. There is a Q&A after the event with Aakash, Lewis and producer Anand Bhatt which is not so much to explain the work, but more a collection of humorous anecdotes about how Aakash and Lewis met, and worked on this program. This adds a considerable amount of charm to an evening extremely well spent!